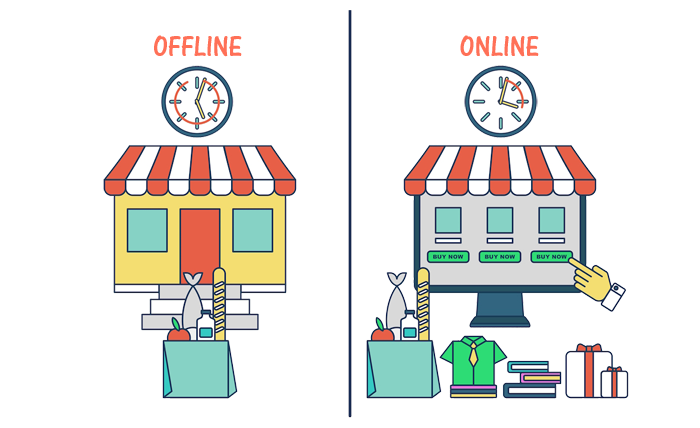 The cost of actually setting up an e-commerce website is lower than that of an offline businesses. The whole sales system for your business is automated online. You will therefore save on staff, wages and other business costs, which are usually an expense such as electricity, rent and heating costs. The money that you have saved can then be used to develop your e-commerce website and product range further. 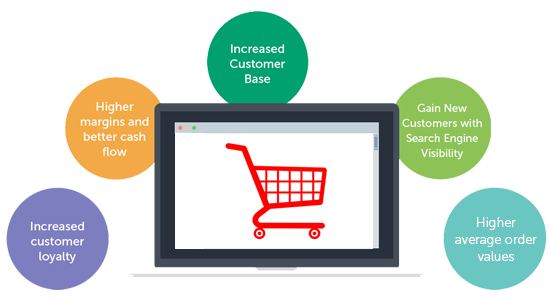 E-commerce websites will also help you expand your product offering faster than is normally possible within an offline business situation. If your business is involved and sells within the trade industry sector, an e-commerce website will allow you to sell at higher margins. This will make the profits you make on your products even higher. The shopping cart and payment options on these websites also mean you are gaining a 100% payment from the customer straight away. This will improve your cash flow, particularly when customers normally provide you with payments in several instalments.